Chloe has accepted a new job at the head of IT at a small liberal arts college in Appleseed Creek, Ohio. She is not thrilled to be taking the position in such a small town in the middle of nowhere, but it was the only job offer she received and she needs the experience. But on her way into town, things get interesting fast when she picks up an ex-Amish teen who's being harassed by some unsavory guys in a truck. The girl, Becky, latches on to Chloe and manages to get Chloe to agree to let her be her new roommate; but things go downhill quickly when Becky borrows Chloe's car without asking (and without a license) and accidentally kills the local Amish bishop. It soon becomes clear that the car was tampered with and someone meant to harm Chloe. But who, and why? I wasn't in love with this mystery, but I think the series has promise. A Plain Death lies somewhere between a thriller and a cozy mystery; there is real danger and an unknown assailant willing to do whatever it takes to get to Chloe and Becky, and we're not sure why they are targets until we get deeper into the mystery. The writing was a bit clunky at times, and I don't think I ever really warmed to Chloe as a main character, but it seems as if she'll be the narrator in the future volumes in the series. There is a little romance between Chloe and Becky's older brother Timothy (also ex-Amish), which was nice, but there was a little something missing for me in that relationship. 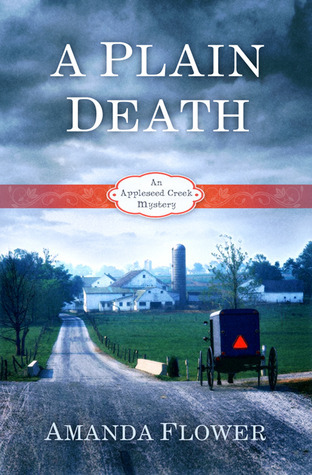 I'm not sure I'll continue on with this series (FYI it's got some Christian messages in case that's something you like/don't like), but if you enjoy Amish fiction and mysteries it might be worth checking out. Disclosure: I received an e-galley from the publisher via NetGalley in exchange for a review. Sorry this didn't really work out for you. Character empathy is a big thing for me as well, otherwise, reading it would be a waste of time. I hope your next read will be better!